Method for sugar syrup: This needs to be done first and let cool at room temperature. Combine water, citric acid and sugar in a small saucepan and stir over a high heat. Bring to boil then reduce heat to low and cook for 8- 10 minutes. Set aside and let cool. 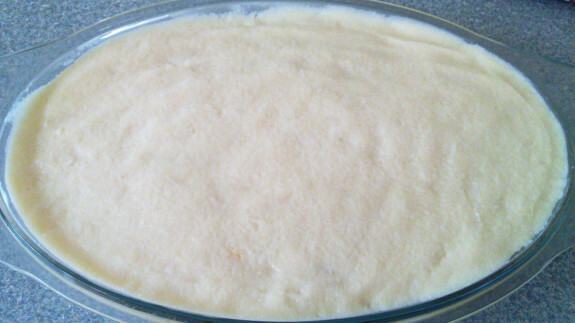 Method for pudding (layali lebnan) Whisk the eggs in a small bowl and set aside. Combine semolina, milk and ground mastik in a large saucepan and stir (dont be away from this, you need to stir continuously) over a medium heat Once you notice the mixture is warm enough, pour and stir the eggs at the same time. 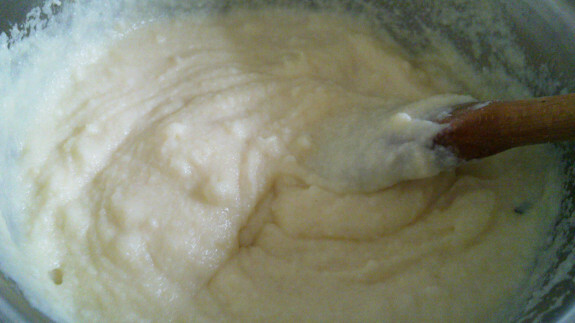 Continue stirring until the mixture is of a thick consistency as shown in photo. Finally add the vanilla, rose water and flower water to it and stir well for a minute. 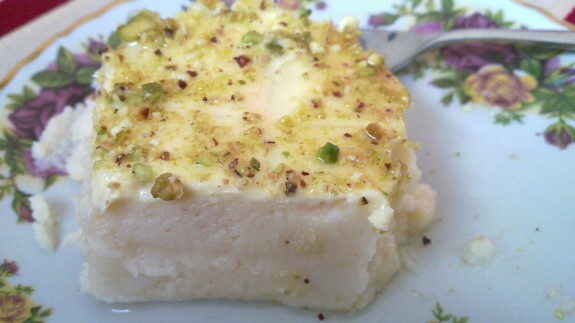 Take the mixture and spread it into a square platter (wet your hands to even the surface). Place the platter in the fridge and let it cool. 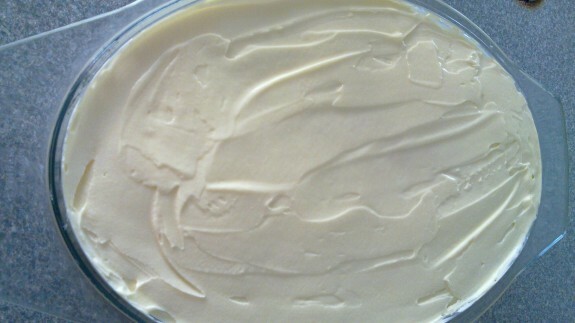 Once the pudding has cooled down, spread the cream on top and return to fridge for an hour. 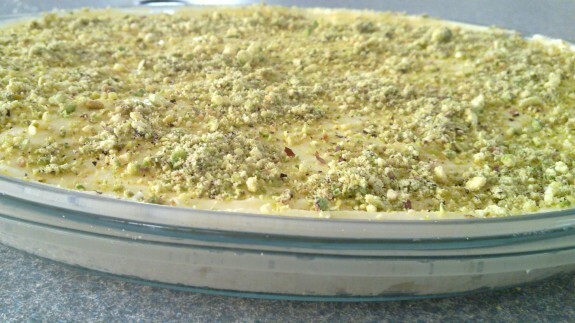 Finally sprinkle some coarsely ground Pistachio and serve with sugar syrup.